The political crisis in Tamil Nadu began in September last year when Assembly Speaker P Dhanapal disqualified eighteen AIADMK MLAs under the 1986 Tamil Nadu Assembly Members Party Defection Law. The lawmakers were disqualified after they submitted a letter to the Governor C Vidyasagar Rao, expressing no confidence in Chief Minister Edappadi K Palaniswami. 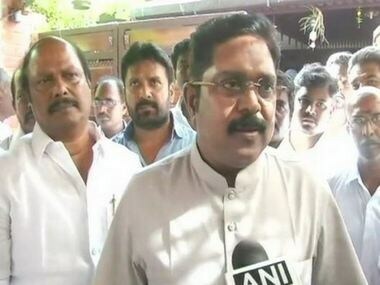 TTV Dhinakaran on Monday asked eighteen disqualified legislators to move to Courtallam resort near Tirunelveli district till the Madras High Court delivers its verdict on their disqualification.